‘So they’re – they have a fee for a post, or a fee for a story, a fee for Facebook, a fee for – you know – they have a fee schedule,’ she added. 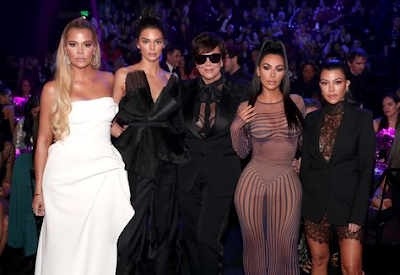 ‘I mean, it’s definitely six figures,’ Kris revealed, saying that the fees are on a sliding scale depending on the post’s subject, or who, whether it be Kim, Khloe, Kylie, is doing the posting. The mother-of-six says that they charge more for ‘pharmaceutical products or if it’s something that you’re going to drink, or ingest, or put on your body’. Kris also discussed her plans to trademark her ‘Momager’ moniker, explaining that she thinks it’s a good opportunity. The interview is part of Sunday Morning’s annual Money Issue.